17820 Birch Bend Circle is no longer on the market. Call the Hollinden Team about this home’s history and other houses in the area. Arlington Meadows has a Fisherville KY address, but most people would consider it Greater Louisville. This family friendly neighborhood has everything to offer as it is convenient to shopping and easy access to the interstates. This 2-story home is move-in ready and available for quick possession. It has been well taken care of and is as clean as they come. This home has beautiful vaulted ceilings as you enter into the foyer, an eat-in kitchen with an abundance of dark cabinets and stainless steel appliances. There are three large bedrooms on the second floor along with a full bathroom to service those three. The master bedroom is also located on the second floor. It features an enormous walk in closet and the ensuite bathroom comes complete with soaker tub, standing shower, private toilet room and double vanity. The spacious family room with floor to ceiling windows lets in a lot of natural light. This home also features a large unfinished basement fully insulated and ready for you to make your own. This is a blank canvass with lots of possibilities. The backyard offers a great playing area for kids and room for the pets to roam. The yard is flat and backs up to a beautiful woodlands. The large deck gives you the perfect place for outdoor entertaining. The opportunities are endless for you to create your own oasis on this large lot. What makes this home even more appealing is its close proximity to everything you could possibly need. There is ample shopping up and down Shelbyville Rd as well as close access to the Gene Snyder Freeway which can put you downtown in a short amount of time; it just depends on your destination. 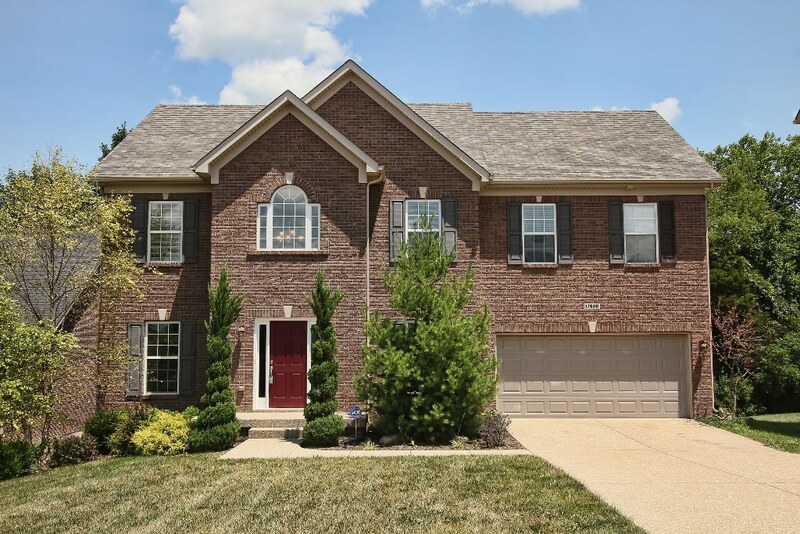 Call The Hollinden Team today to arrange for your private showing of 17820 Birch Bend in Fisherville, KY 40023. (MLS 1394976) The Hollinden Team can also show you other Arlington Meadows homes for sale. Call Tera Hollinden will find the one that is just right for you. Contact Tera today for all your real estate needs at 502-387-4167. 8534 Grand Neptune Drive is located in the town home development called “The Fountains”. This home sold and closed in less than 60 days. Contact the Hollinden Team today to see how he can get your home sold. These town houses are fairly new as they range from 9 to 15 years old. 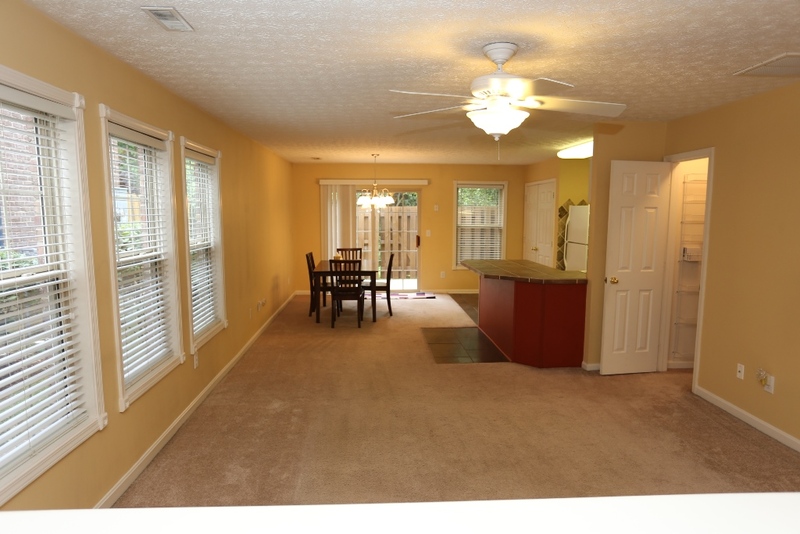 These condos are very well kept and it shows as you enter the development. This townhome offers an open floor plan for entertaining or just being able to keep a watch on what the kids are doing. The custom tile work in the kitchen is of high quality and stone that is not seen very often. The Fleur De Lis accents really add a classy touch in the backsplash and cabinet ends. In traditional townhome style, all three bedrooms are located upstairs with two full baths with yet more custom tile work in both bathrooms. Outside the dining area is a nice patio area enclosed with a privacy fence that backs up to woods where you can relax and enjoy the sounds of nature instead of the sounds of parking. This is a big plus as most of the other condos for sale back up to other units or the neighboring apartment community. Keeping us from getting wet and feeling secure, this town house has an attached two car garage. This is not very common in condo living. Overall, this unit is in superior condition to the other town homes for sale in The Fountains. The Fountains in Southern Jefferson County is conveniently located one mile from the Gene Snyder and a few miles from I-65 thus making for a short commute to Downtown Louisville, Louisville International Airport, the Louisville Ford Assembly Plant on Fern Valley Rd or General Electric Appliance Park. Also nearby is McNeely Lake or Jefferson Memorial Forest allowing you to take a hike or picnic. Looking for an adrenaline rush, a visit to Kentucky Kingdom is a short drive on I-65. The Fountains are FHA Approved so financing should not be a problem. Come see what 8534 Grand Neptune Dr in Louisville, MLS#1395105 has to offer, you won’t be disappointed. It’s clean and move in ready. If this isn’t the home for you, check out other The Fountains homes for sale. Tim Hollinden can help you with these homes or any homes for sale in the Louisville area. Give The Hollinden Team a call today at 502-429-3866.